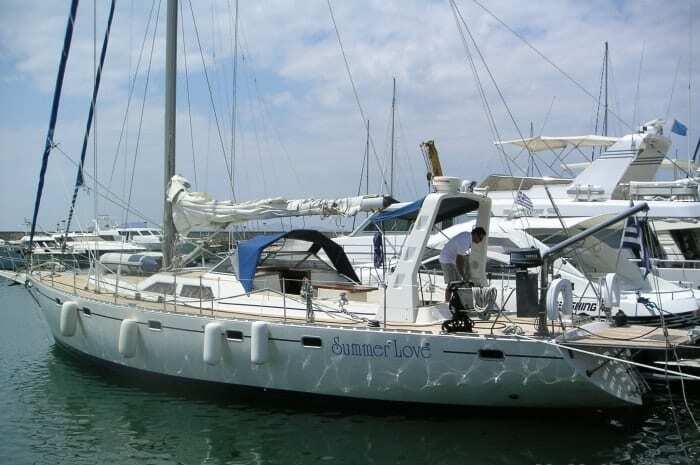 SUMMER LOVE is a lovely custom built cutter, ideal for honeymooners or families. 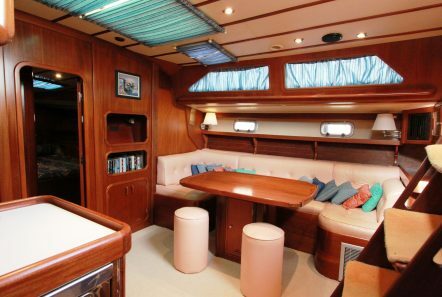 The airy yet classic salon features light hues with gentle colors; guests can relax on her soft fan tail sofa around a mahogany dining table. 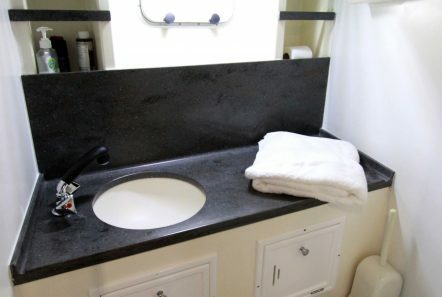 She features brand new Corian in the Master bathroom and on the kitchen counter top where there is ample space to create delicious meals. 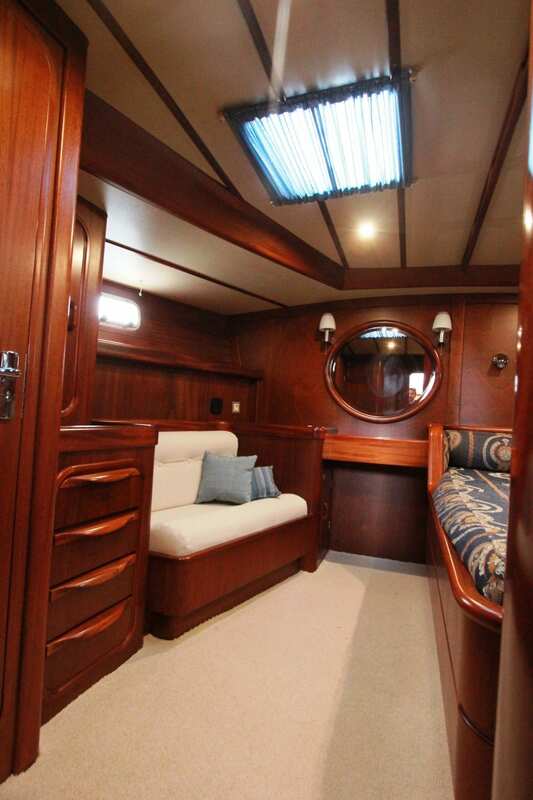 She is well lit new led lighting throughout and windows and sky lights. 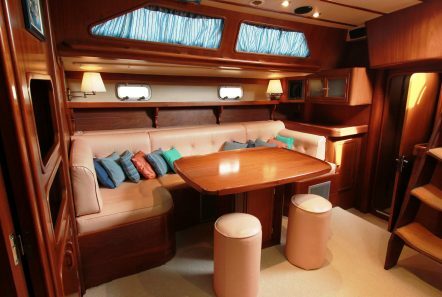 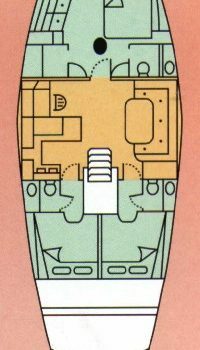 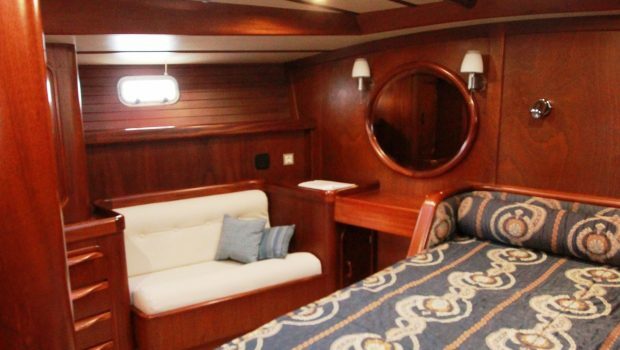 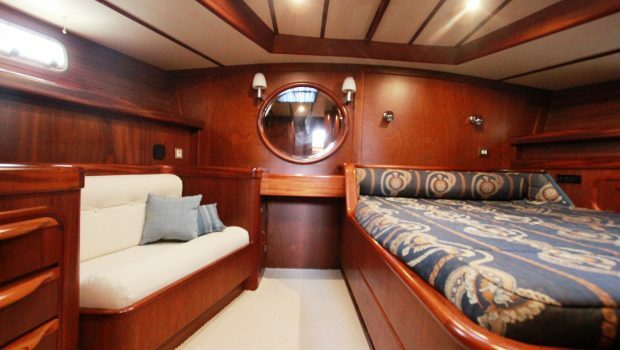 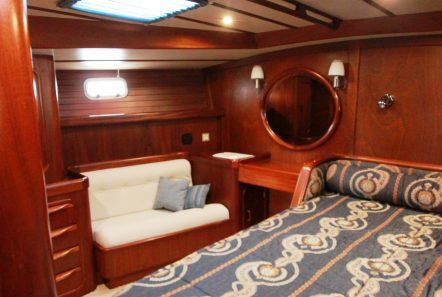 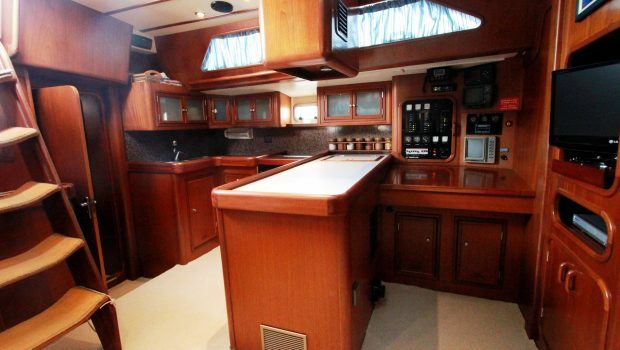 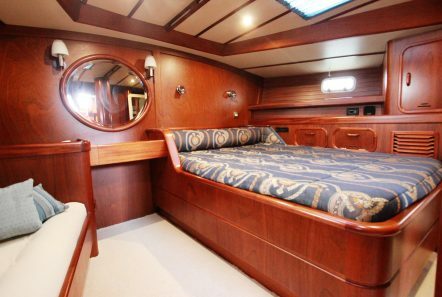 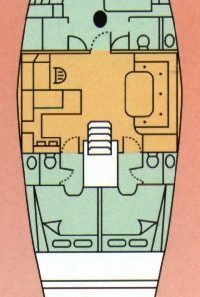 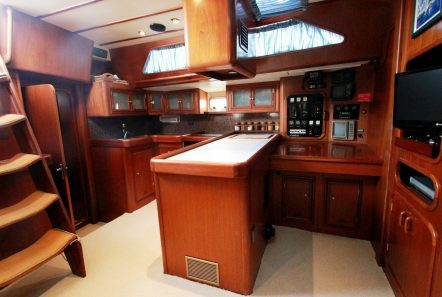 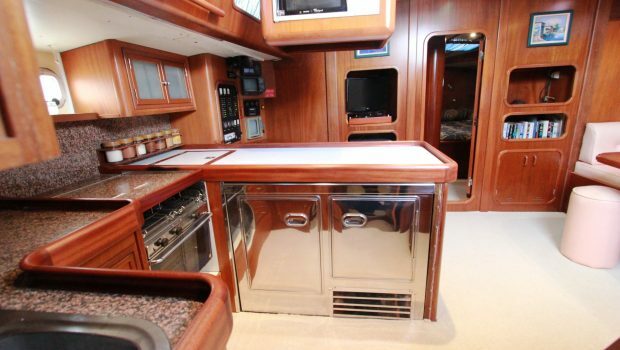 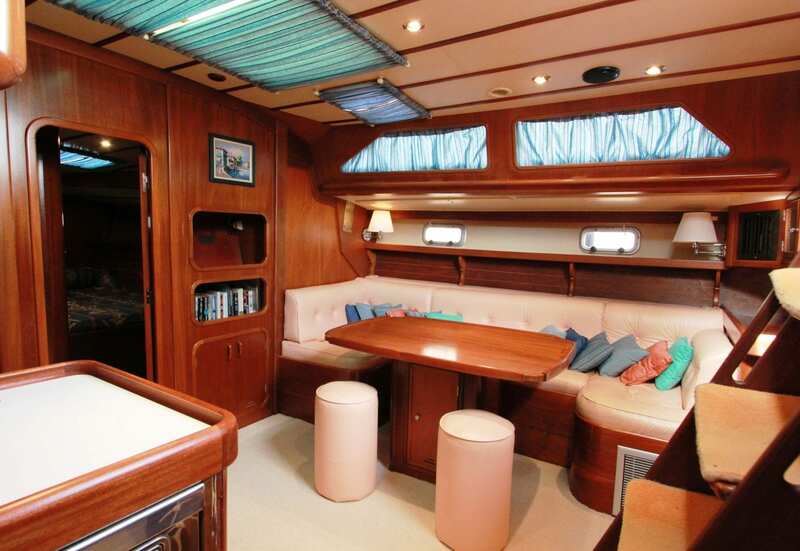 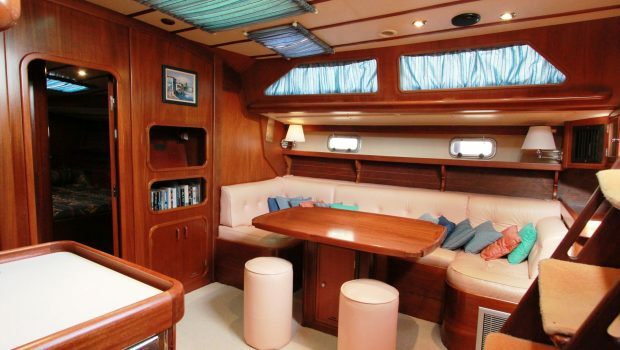 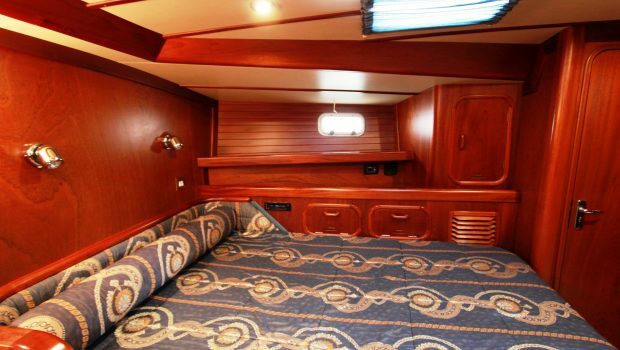 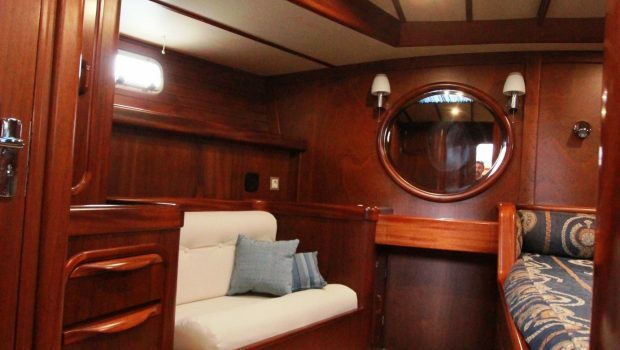 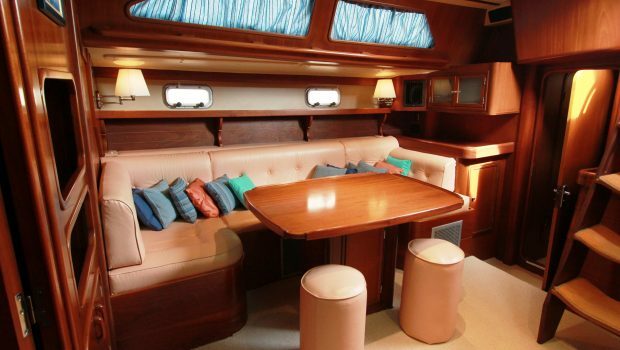 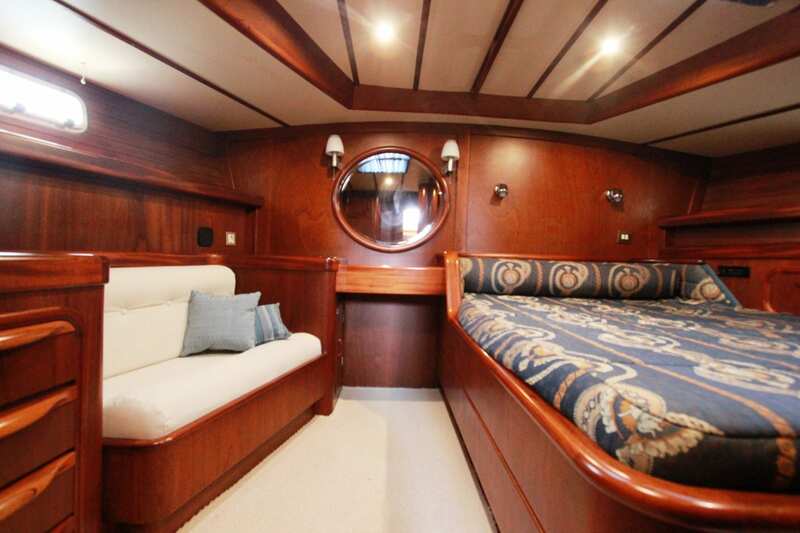 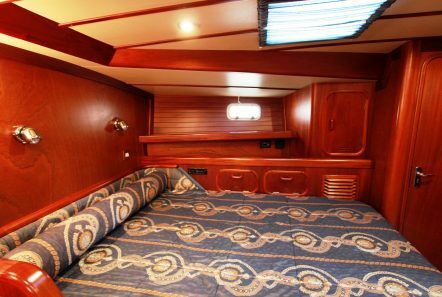 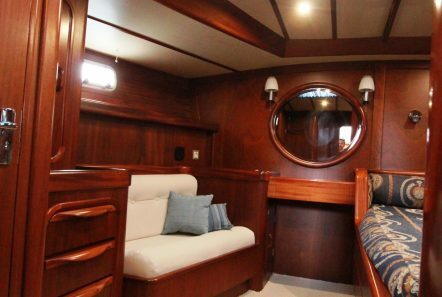 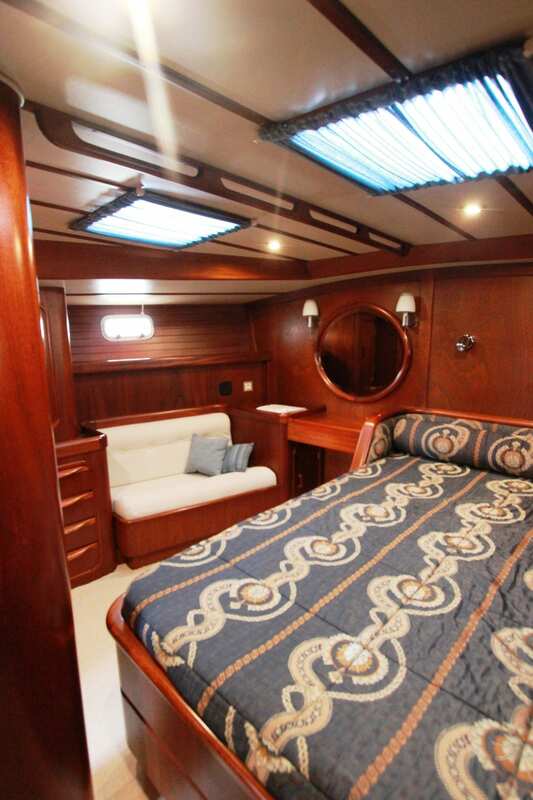 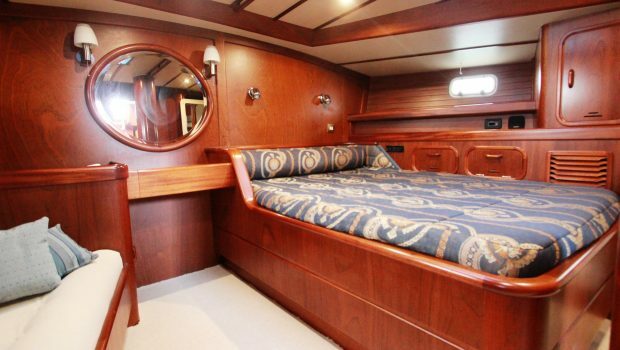 She can accommodate up to six guests in three cabins. 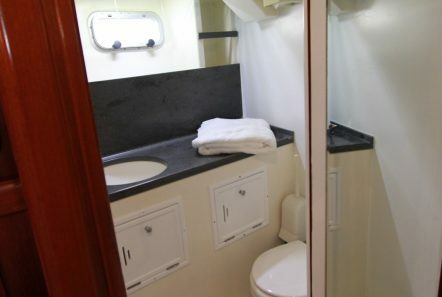 The master cabin has a large double bed, settee and en suite shower room, unique in the market. 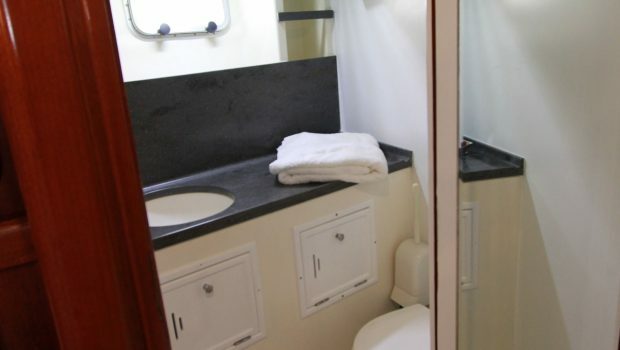 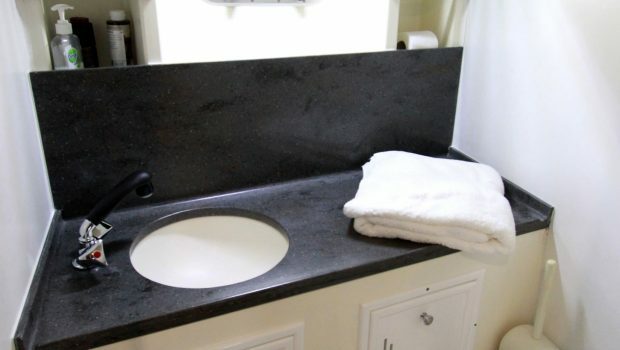 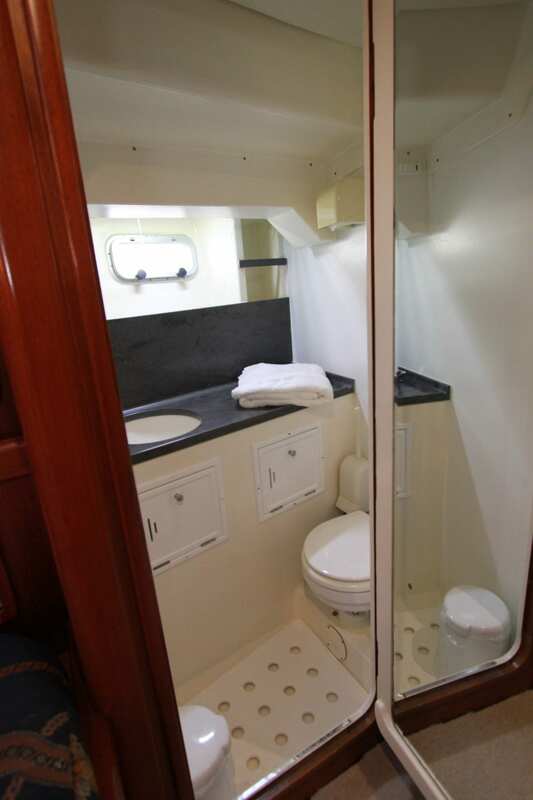 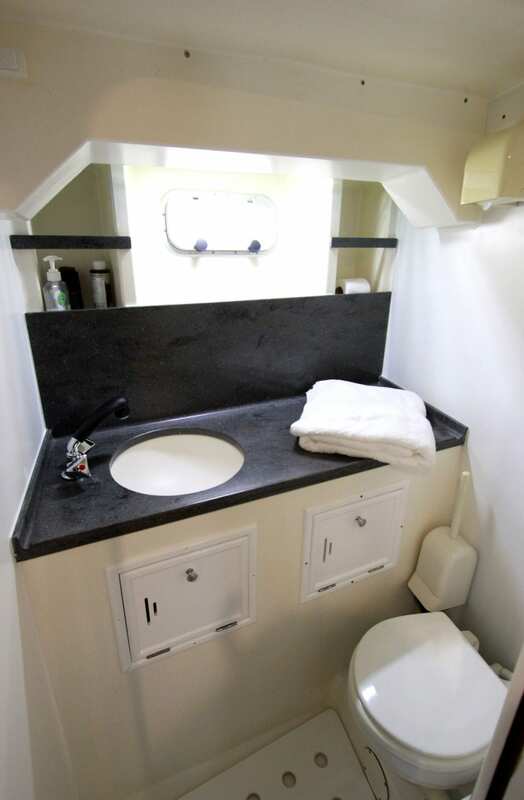 There are two double-bedded cabins, each with en suite bathrooms. 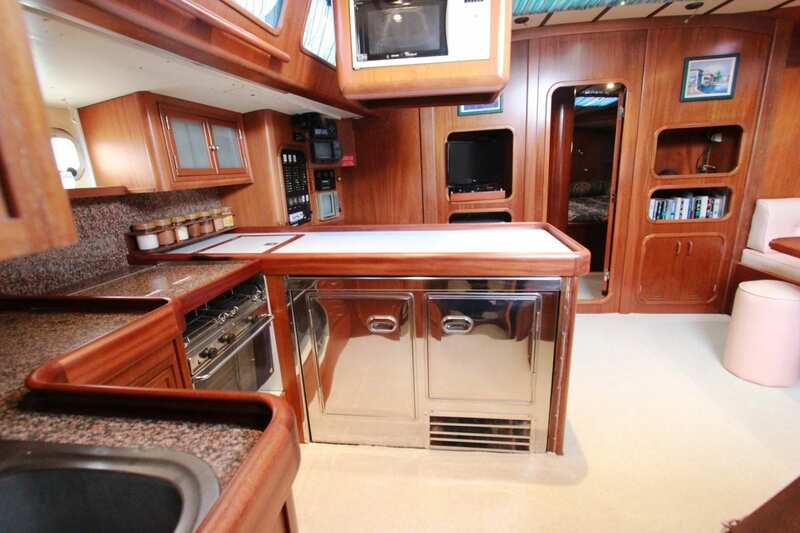 Traditional Greek cuisine can be served to you either on deck in the spacious cockpit area, or below in the salon for more private dining. A professional crew of two service this excellent sailing yacht. 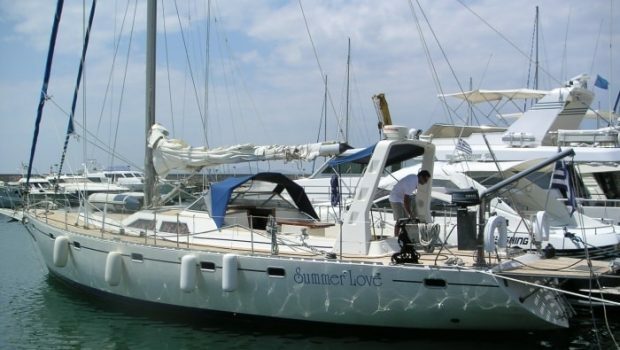 *This yachts rate includes: fuel and Halfboard for all weekly charters.